"I love my slots games. I have spent many hours playing this game and the other IGT Slots games that come with this deal." Enjoy real casino action in your own home as you choose from 20 superior slots including Heaven's Bells, Dragons Gate, Cash Coaster, Fountain of Wishes and more. Detailed player statistics let you discover your luckiest slots, your largest single win, number of bonuses played, number of winning spins, your favorite machine, and your longest win streak. 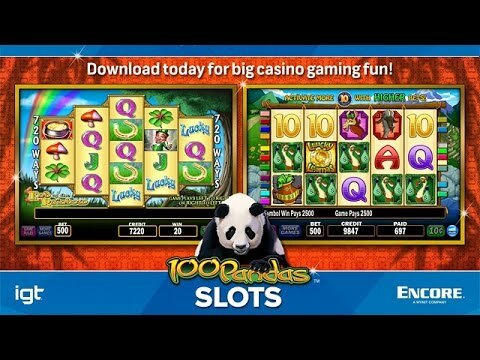 Earn achievements on your way to becoming a true high roller in IGT Slots: 100 Pandas. Great game with lots of games in one. Keeps grandma out of the real casino. Now my mom wants her own laptop so they can play this side by side! I enjoyed the variety of games and bonuses. Above all, these are machines we have seen in casinos, and it's a pleasure to play safely!